Samsung officially unwrapped its latest flagships, the S6 and S6 Edge, yesterday in Barcelona. Now sources close to iGyaan suggest that the two new entrants will go on sale in India on 10th April. The normal Galaxy S6 boasts a slightly larger screen size, than its predecessor, with a 5.1-inch Super AMOLED QuadHD display with a pixel density of 577ppi. Powering the new Galaxy S6 will be an Exynos Octa-Core chipset clocked at 2.1 Ghz which is bundled with a 3GB LPDDR4. Meanwhile, in terms of optics, it retains the same 16MP count just like its predecessor, though it gets OIS which was missing in the previous iteration. In addition, it also gets a 5MP front facing camera. On the memory front, the Galaxy S6 will be available in three variant, 32, 64 and 128 GB variants. All based on UFS 2.0 (Universal Flash Storage). 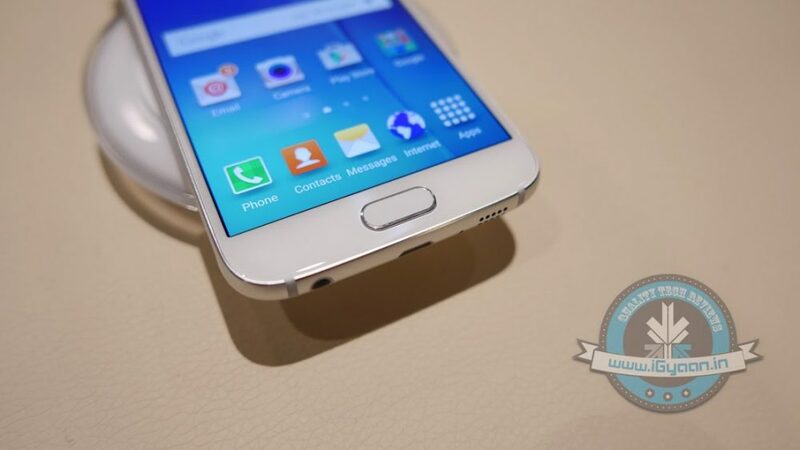 And yes, just like the iPhone – the Samsung Galaxy S6 and the S6 Edge will not have micro SD expandability. Connectivity on the new flagship has been given a slight upgrade, it gets LTE Cat 6 compatibility, while other connectivity options include Bluetooth 4.1, Wi-Fi 802.11 a/b/g/n/ac, while globally unlocked variants will work on TDD and FDD LTE bands. So networks should not be a problem for Samsung this time around. It also gets a fingerprint scanner while juicing up the smartphone would be 2550mAh battery. Coming to its curved counterpart, all specs and features are the same except it gets a slightly beefier battery unit at 2600mAh along with an Exynos Octa core chipset clocked at 2.5GHz. Meanwhile, the edge is mostly for aesthetic appeal. At the event, the company announced that it took up to 800-degree to bend the Gorilla Glass 4 display. Samsung has included quick charging and wireless charging capabilities in the new S6 and the S6 Edge. The company claims that a 10 minute charge will result in 4 hours of usage. The latest flagship, or should we say flagships from Samsung go on sale in India starting April 10th meanwhile pricing is expected to be around Rs. 52,999 for the S6, while its curved counterpart will likely get a price tag of Rs.61,999.